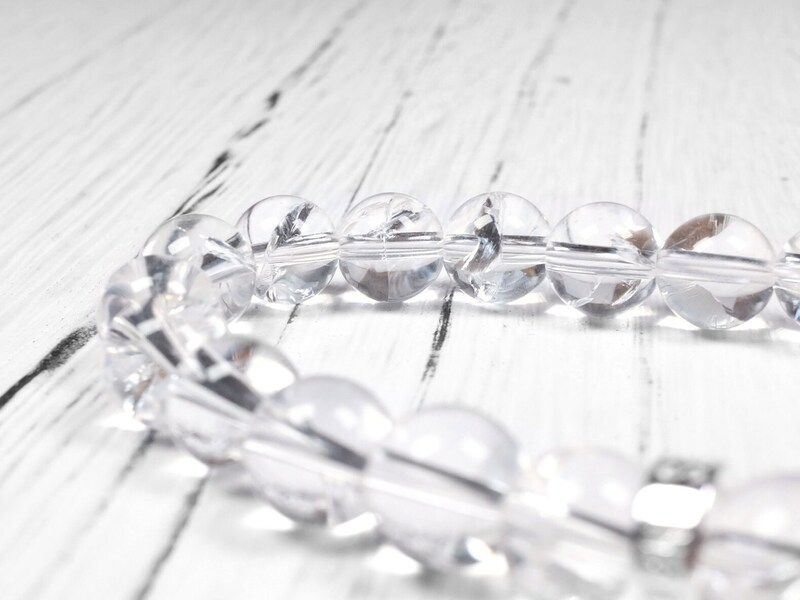 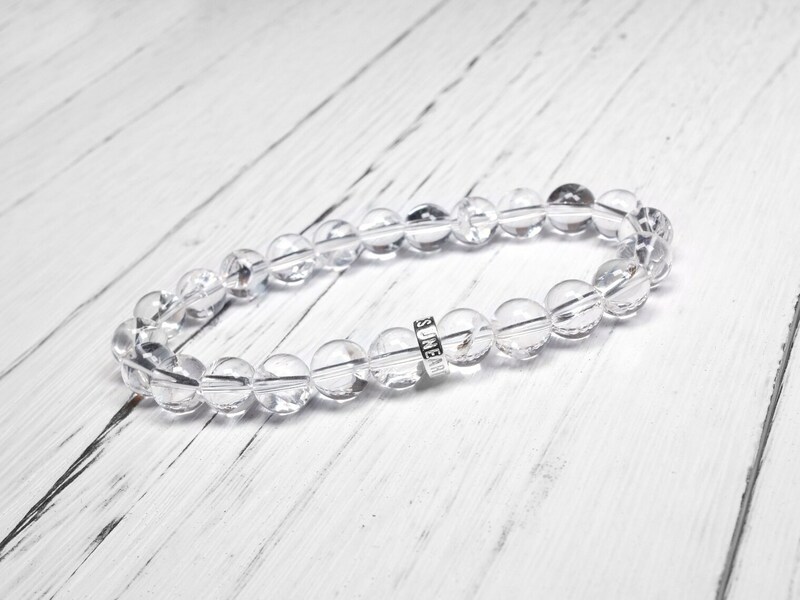 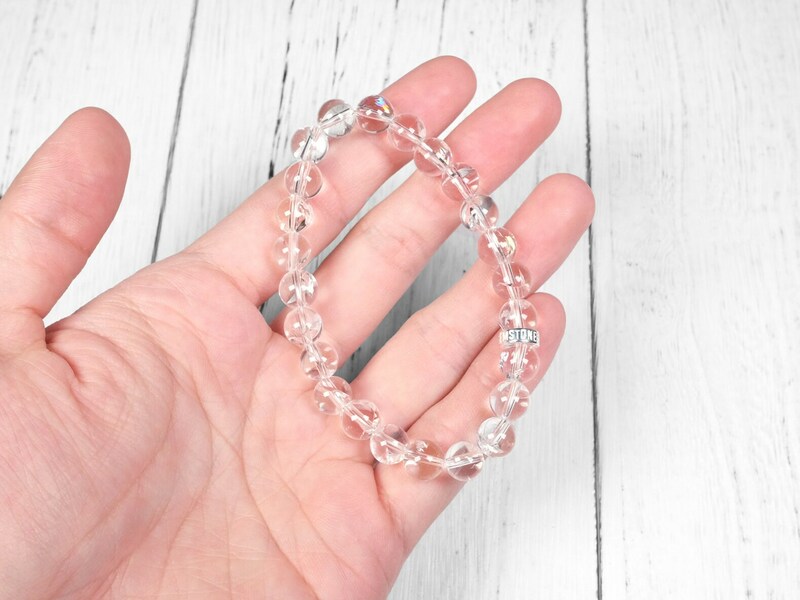 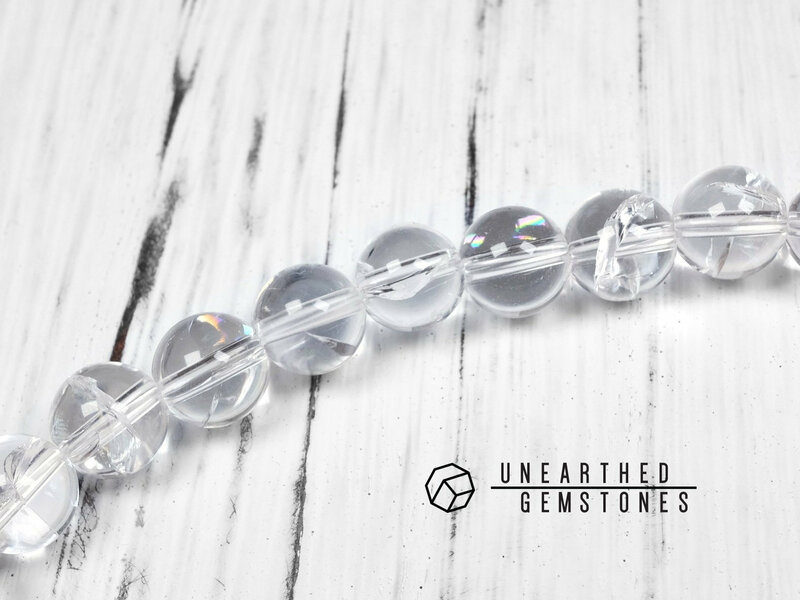 This bracelet is made with genuine clear quartz with natural fractures. 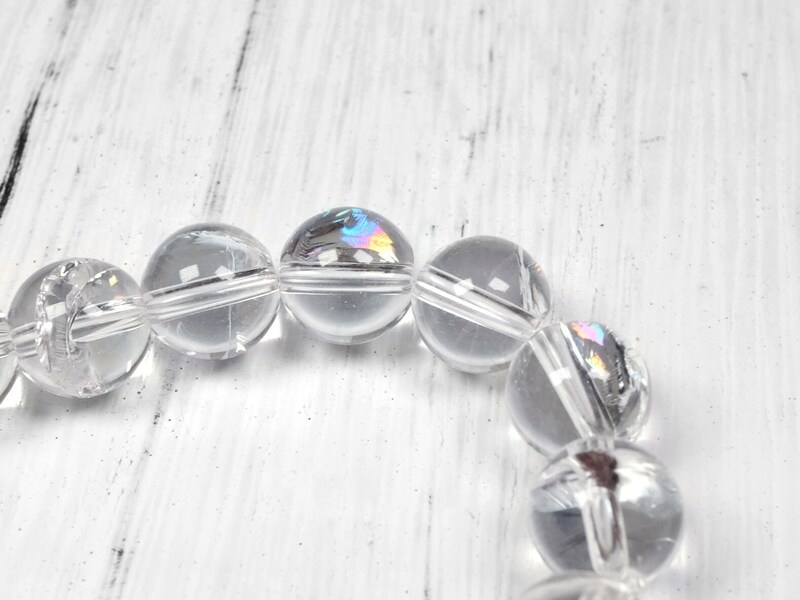 When viewed at the correct angle, the light hits the fracture and reflects a rainbow colored light. 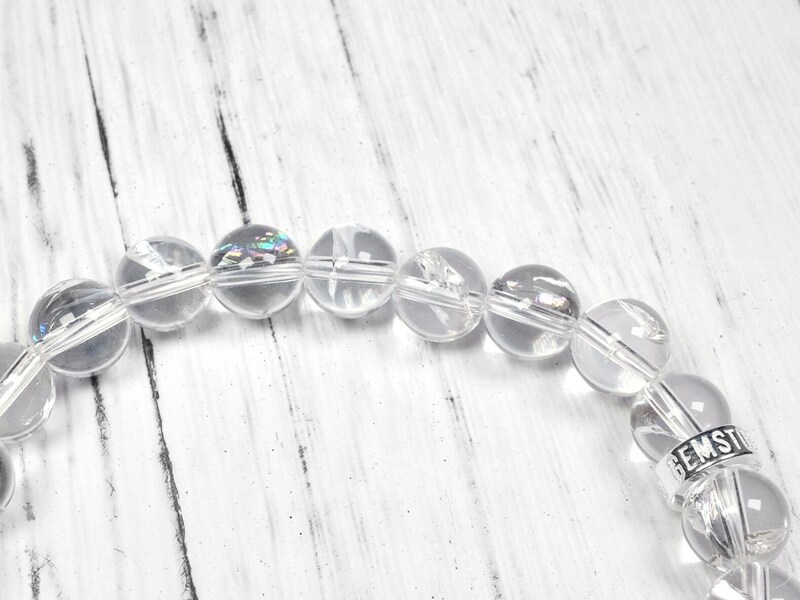 However, as the fractures are randomly formed, you won't see a rainbow flash in every angle. 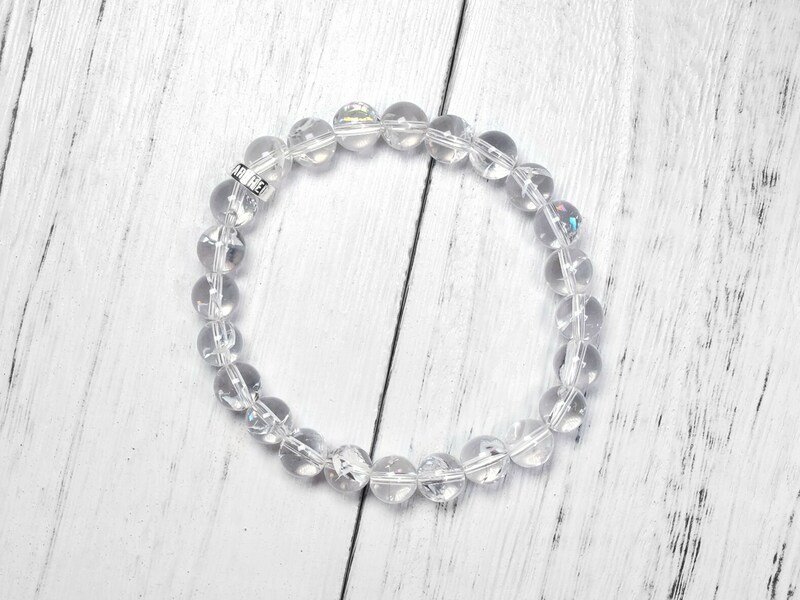 But overall an interesting clear quartz choice. 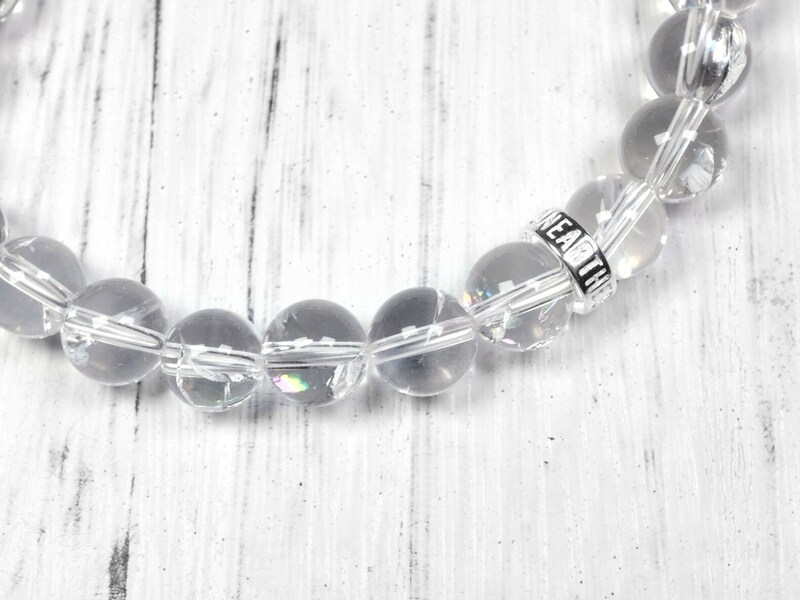 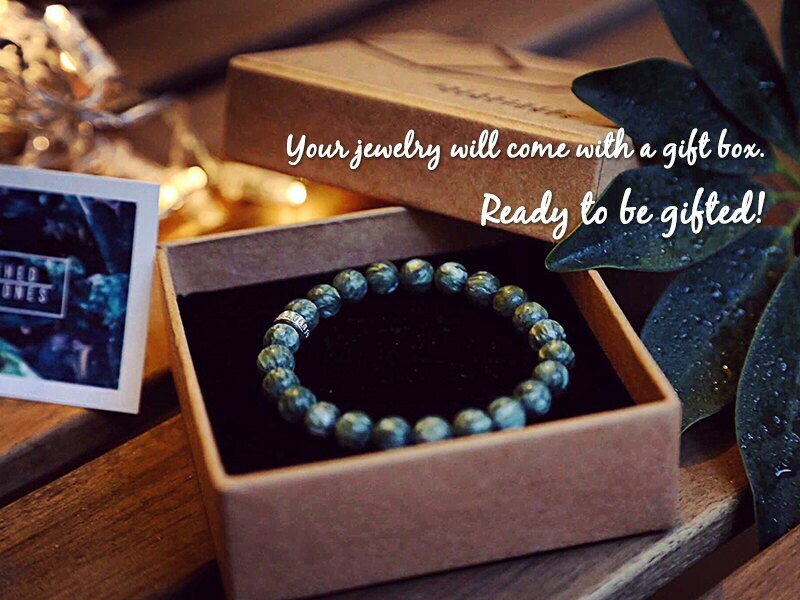 With the Unearthed Gemstones sterling silver, this bracelet is a modern take on this classic gemstone.